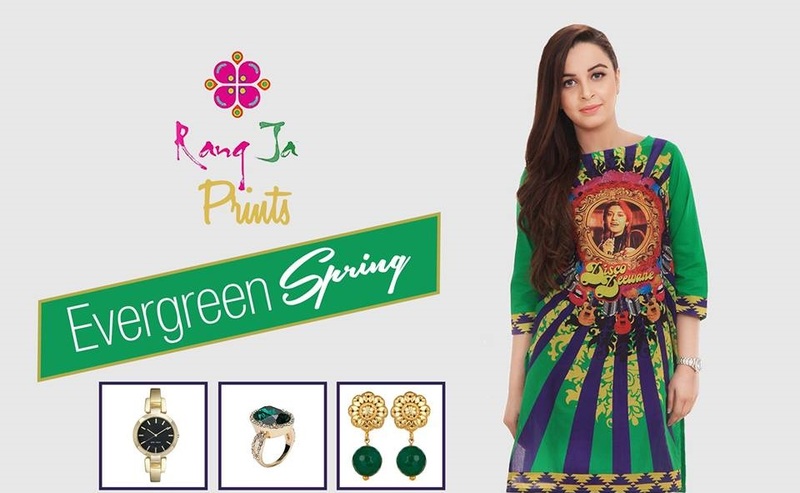 Summer has just stepped inside our region along with a bundle of sizzling designs of dresses. 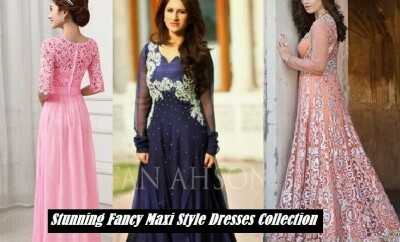 It is always a fun for ladies to buy and wear new styles of dresses every season. One of the most popular gossips among ladies everywhere is what to wear next. 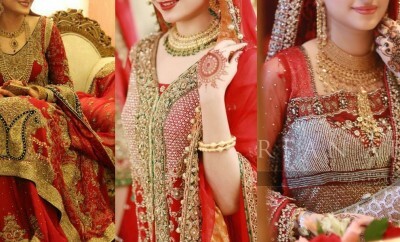 So ladies, have you really decided what to wear this season to stun your fellows? If not then we may help you out. 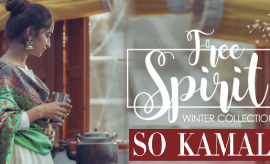 As far as the current fashion trends of ladies’ wear are concerned, short or medium length shirts and kurtis with capris, tights and trousers are surely going to be the dominant fashion in the upcoming season. 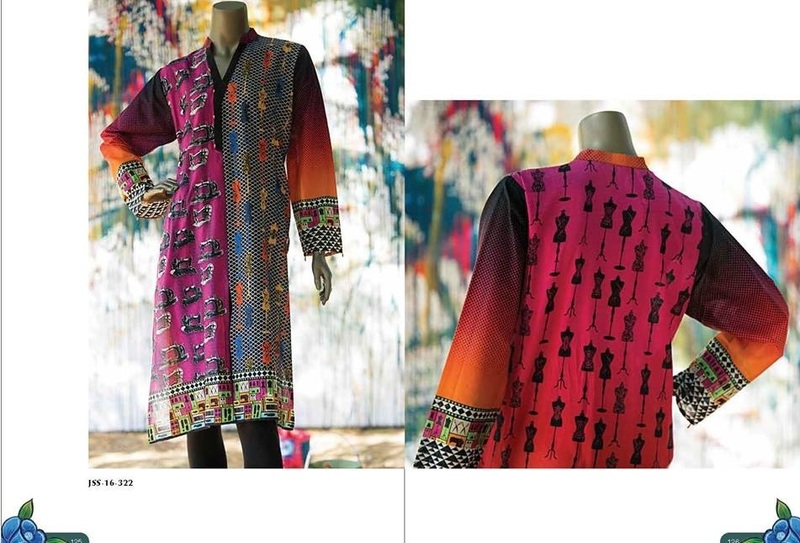 Kurtis or kurtas have always been in trend no matter which era it is, whether of long shirts or short shirts. Tunics give a very elegant and graceful look to girls especially when paired up with pants or capris. 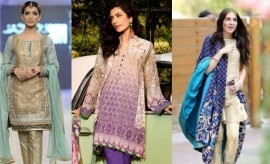 Most of the brands this year have brought tunics in their RTW collections. 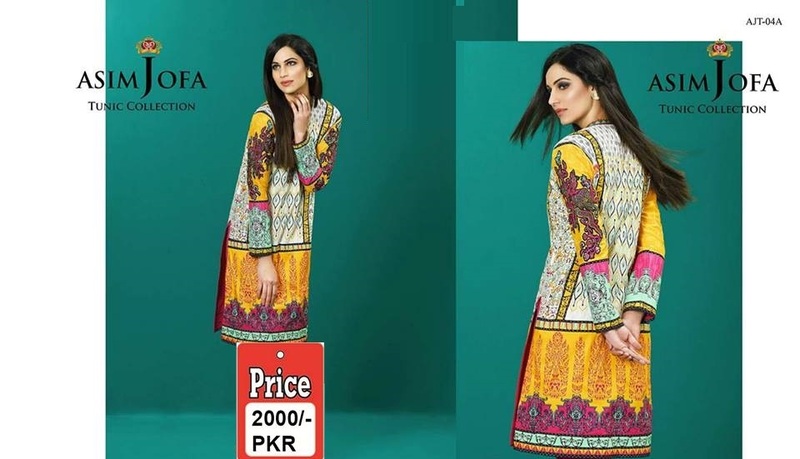 We have shared a couple of good designs of full three piece printed and embroidered unstitched and stitched suits in the previous section and now are going to unwrap some fabulous designs and styles of designer and branded tunics for women. 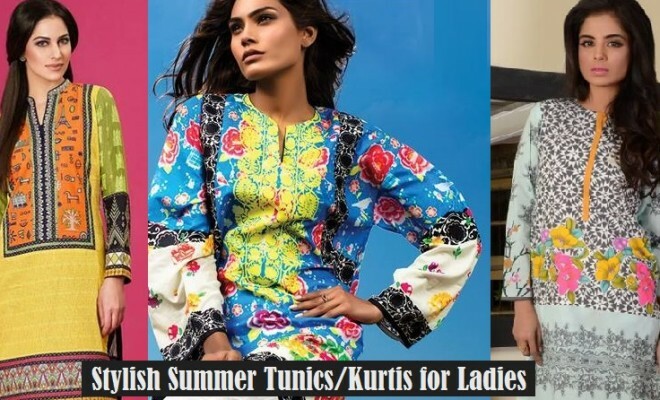 Stylish Kurtis of new designs 2018 by popular Pakistani clothing brands and designers have been covered up in the following section to make your summer more fresh and bright this year. 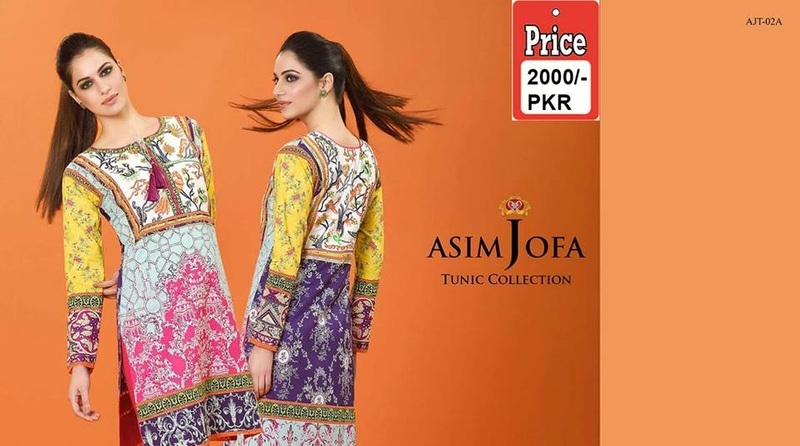 Asim Jofa has always been unique in his creations and is one of the most followed fashion designers of this era. 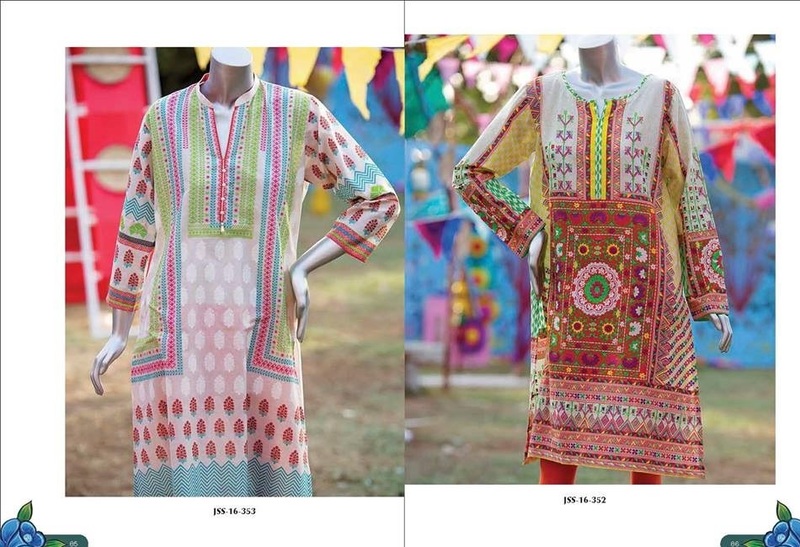 His new Tunic collection will surely surprise you with the brilliant and matchless designs that he has just introduced. All these are available at a reasonable price range of 2000/. PKR. 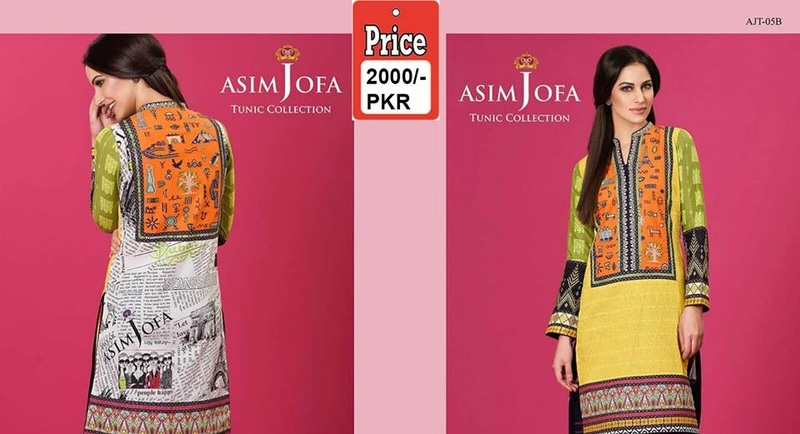 Have a look at these colorful kurtas here and order them at the Asim Jofa online store. 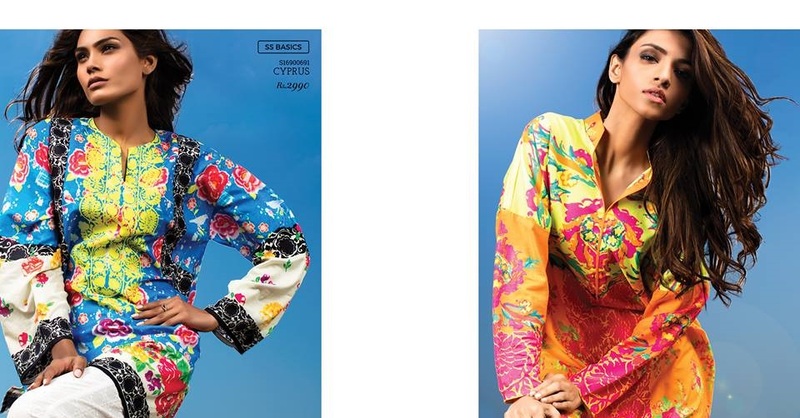 Origins RTW Summer Kurti Collection is an amazing package to find stylish tunics this season. 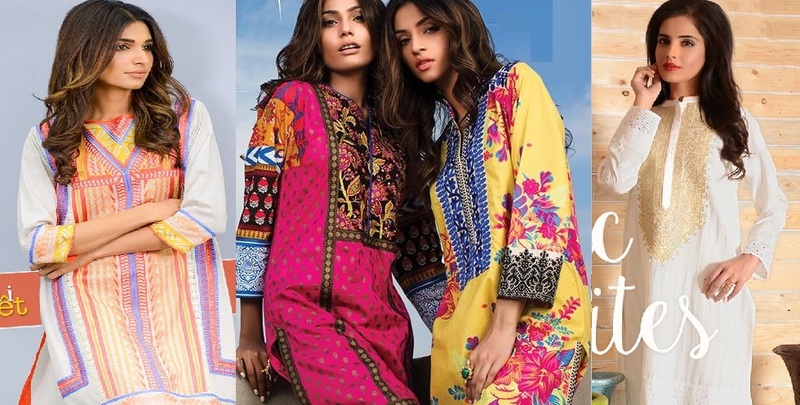 Check out beautiful tunics here and make them yours by placing your orders at the official Origins estore. 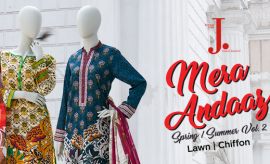 J. Junaid Jamshed Spring Summer Lawn has been out and is full of a wide range of seasonal kurtas and kurtis for women of all age groups. The colors brought to us by J. this season are quite funky and bright. You can pick these articles from the J. estore or its leading outlets. 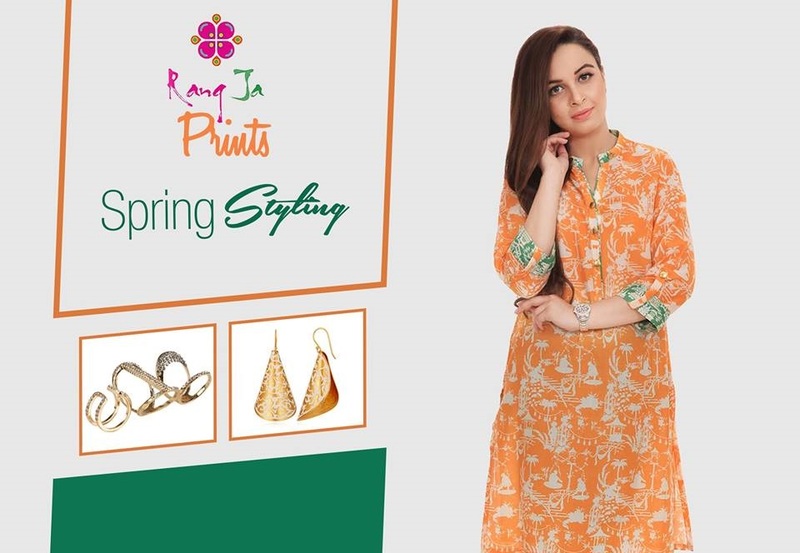 Ego Spring Summer Collection with a versatile range of kurtis is the right option to go for trendy stuff. 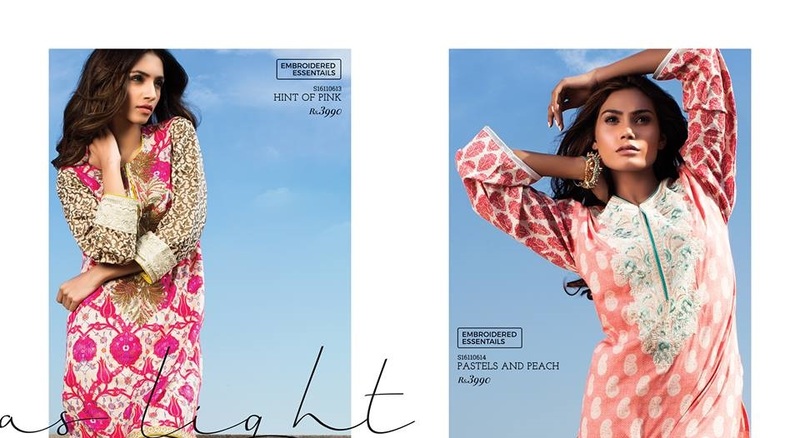 EGO has always been bringing best stuff for fashion-forward ladies and this time again has come forward with something unique. 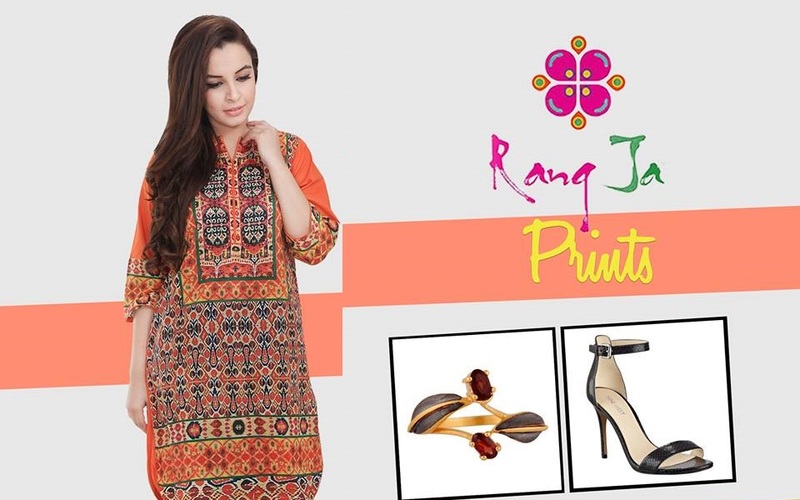 Rang Ja Summer Lawn with pretty colorful shirts and tunics is right here explored in the following section. 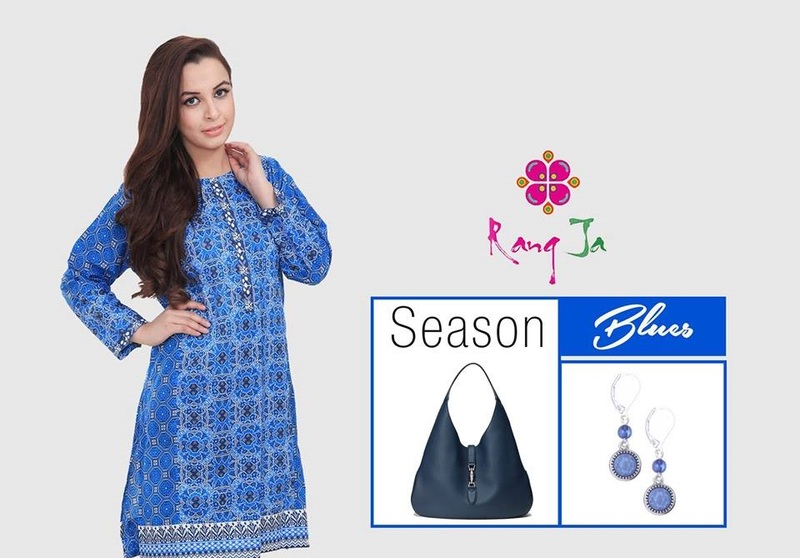 It is over flowing with fabulous kurta designs which you will surely love buying this season. 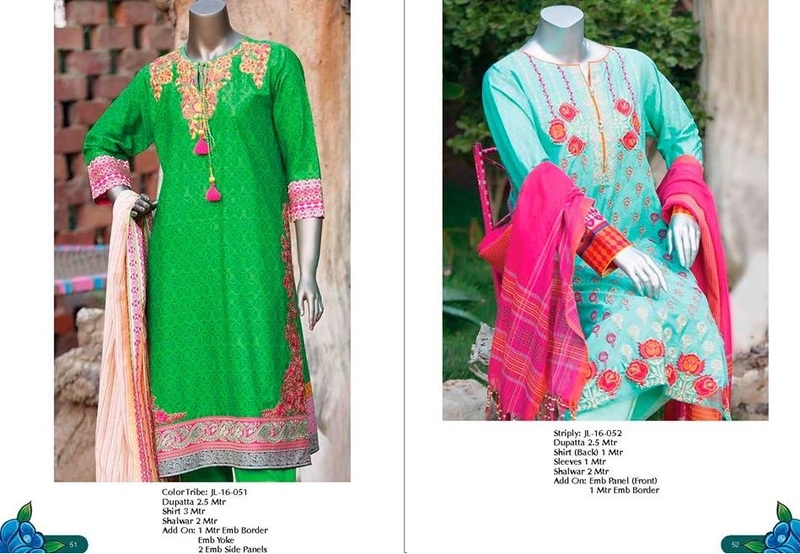 Charizma Summer Dresses are all worth having and are embellished with pretty patterns. 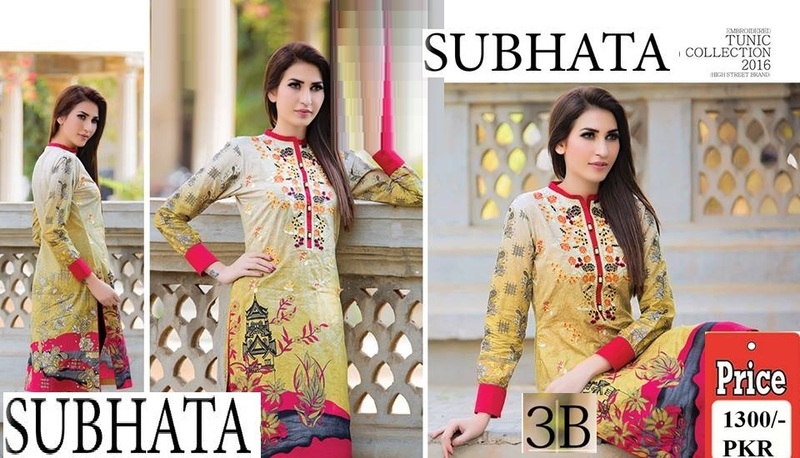 Most of the articles of the assortment are designed as kurtis in very striking and gorgeous designs. Pick these up from the Charizma online store or its outlets in your city. 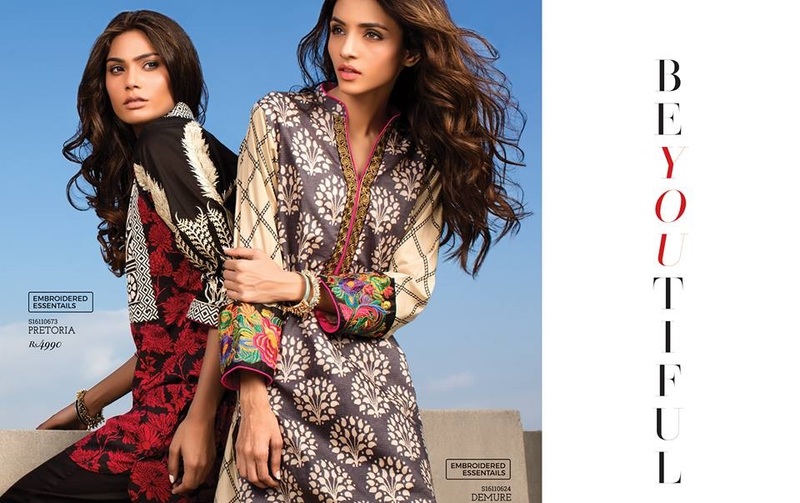 Sana Safinaz Lawn has been launched finally with a lot of tremendous and marvelous seasonal prints and designs which are all worth having. 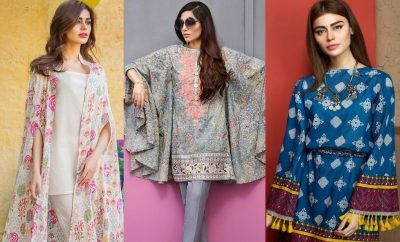 Any fashion lover would love buying these pretty outfits specially the stunning tunic line introduced by the talented designers Sana and Safinaz. 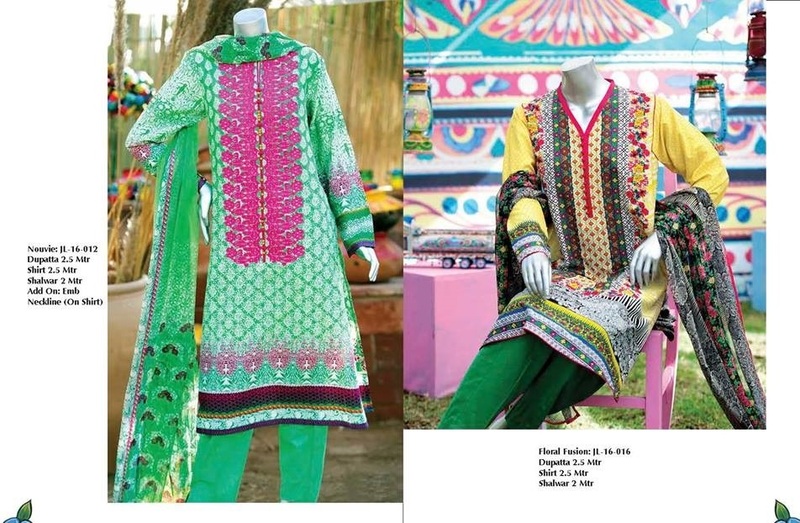 Some of the prominent designs of the Sana Safinaz Tunic collection have been showcased in the following photo album. 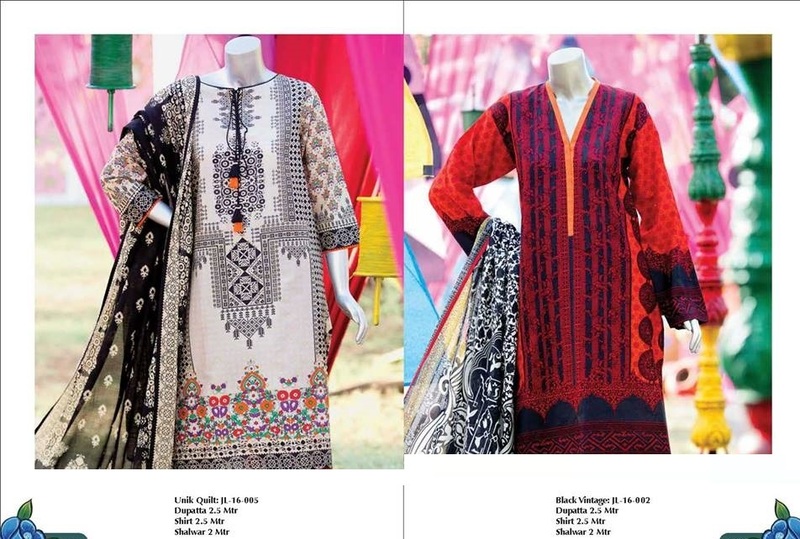 You can purchase these from the Sana Safinaz online store or any of the leading outlets countrywide. 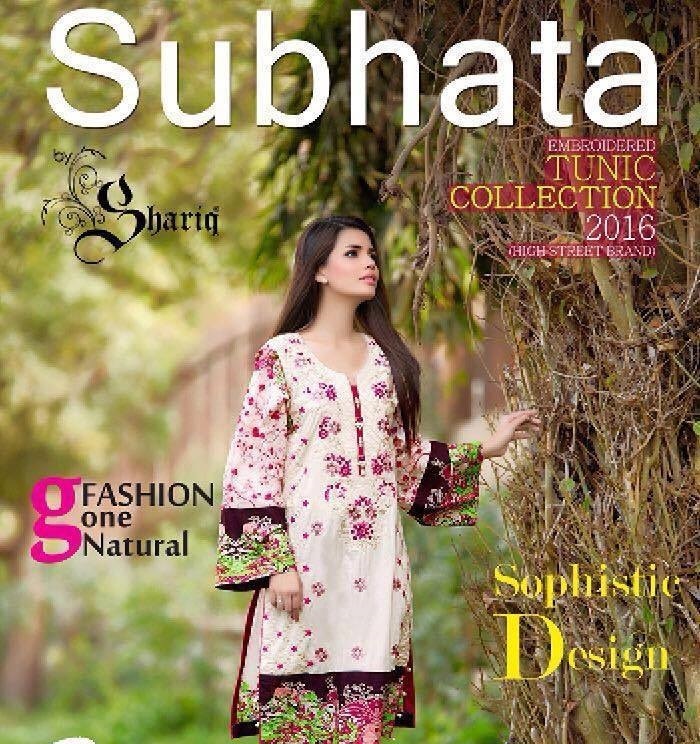 Subhata Tunic Series has been enriched with classy kurta/kurti or tunic designs in delightful colors, all worth 1300/. PKR. Have a look at the signature articles in this section. 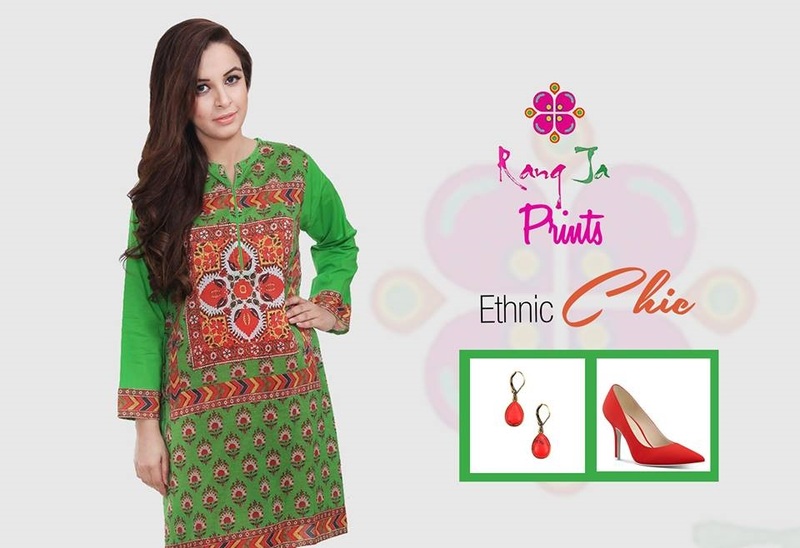 This was all about the latest and trendy designs of summer tunics for women. All of these have been gathered from the special designer and branded summer series and are stitched with very neat tailoring. 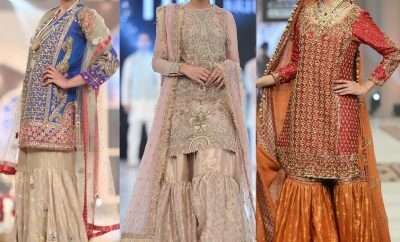 A smart selection from these collections will save your time and help you wear a perfect summer look this year. Go through the entire series and get your favourite ones from the relevant stores. 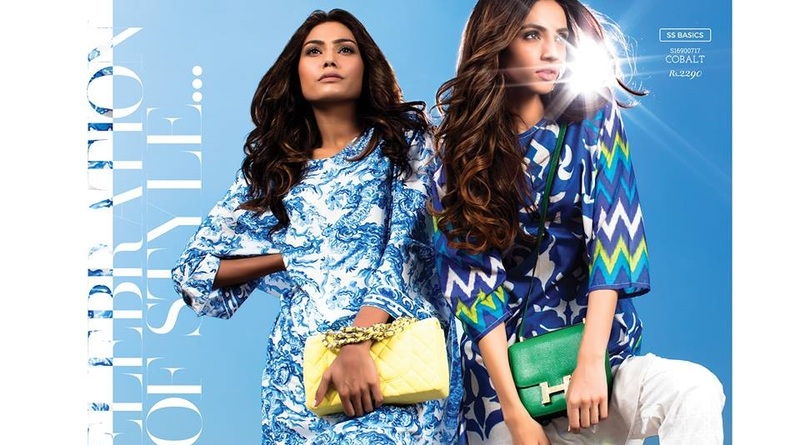 Follow our Summer Wear Gallery for more seasonal fashion updates and branded assortments. Leave your feedback in the following comment box. 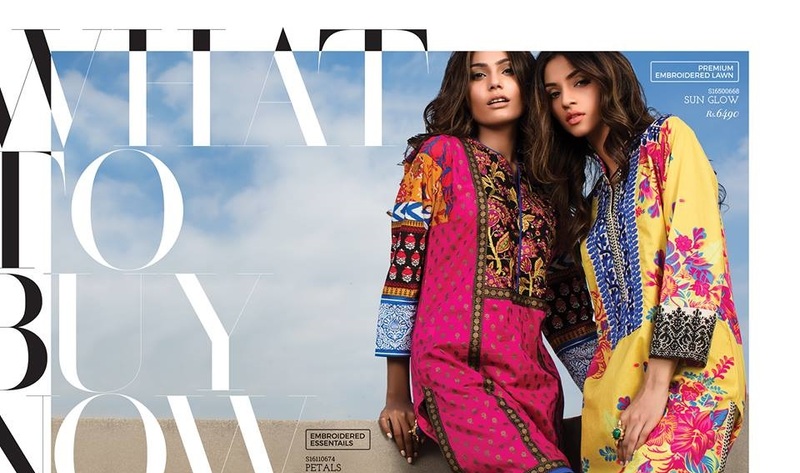 Its a great collection of summer kurtis, out of all these designers asim jofa’s collection seems extraordinary.